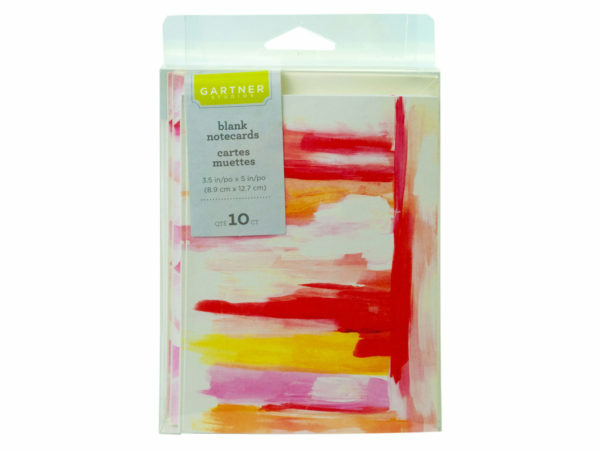 Write a personal message to your friends and family with this Watercolor Notecards and Envelope Set. The blank notecards are approximately 3.50" x 5". The package includes ten counts of notecards and envelopes set. It comes packaged in a 4" x 6.15" hanging plastic box.